Since 2018 we are running our yoga trainings in collaboration with the crew at Blue Earth Village, where we have incredible facilities and views with a diverse range of offerings. Follow Blue Earth Village for upcoming events and daily schedule. 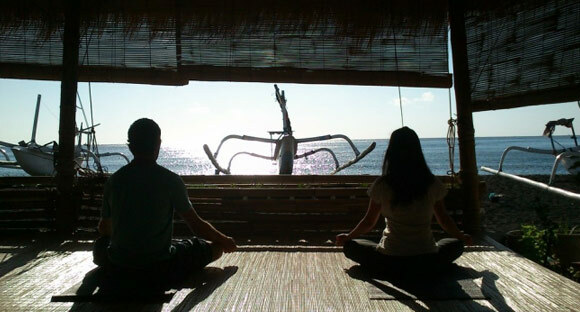 We are also one of the main hosts for the incredible Ocean Yoga Festival, the first of it’s kind in East Bali and completely free. Our educational vision for yoga mirrors that for freediving. Practice is focused on adapting the asana practice to suit the persons particular needs as they present themselves, sometimes practice will be more dynamic with use of simple but powerful vinyasa, at other times classes will have a more restorative focus.